Shops, stalls and studios make up the shopping experience throughout Cork. 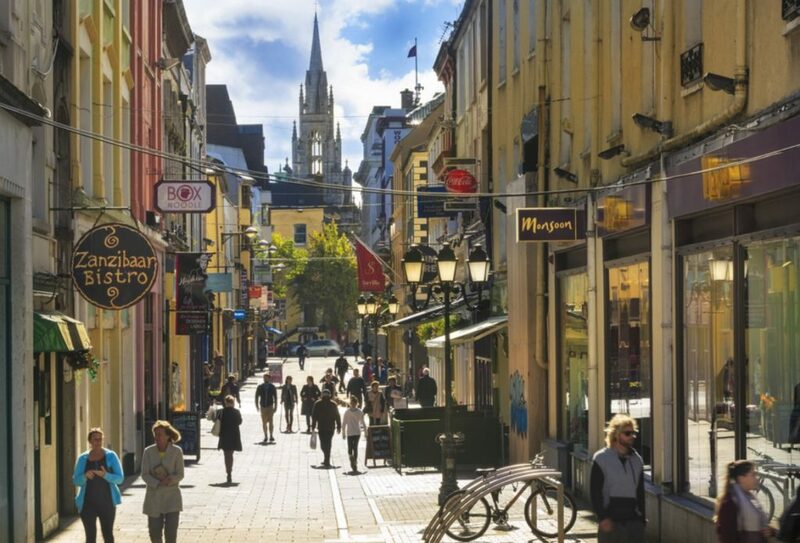 Cork offers a wealth of diverse shopping opportunities; from the busy city centre to the bustling towns and villages, there is something for all needs and tastes. Cork City provides a vibrant shopping experience. The city centre boasts big name stores throughout the traditional shopping area of Patrick Street as well as Princes Street, Oliver Plunkett Street and North Main Street. 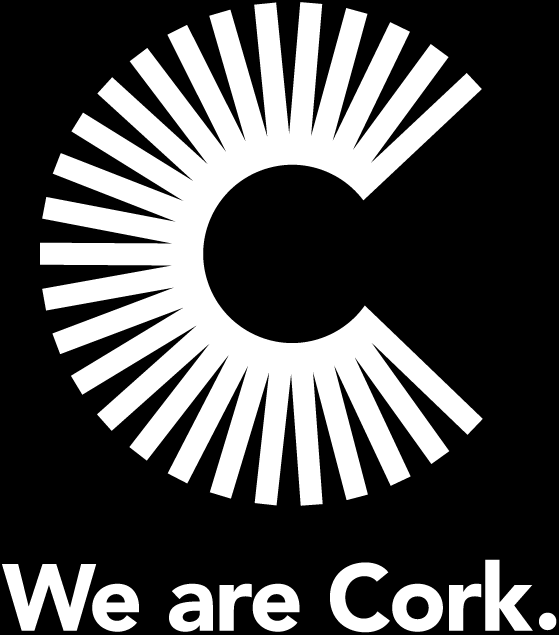 The large shopping centres in Cork City include Merchant’s Quay, Paul Street, French Church Street and North Main Street. Some well-known high street shops are located on Cork’s Opera Lane, which is a fine example of a new shopping area blending in with the old historic buildings of Cork such as Crawford Art Gallery and the Queen Anne house on Emmet Place. If you are looking for something more niche or specific, small boutiques, markets, vintage shops, bookshops, chocolate shops, outdoor cafes and more are readily accessible in some of the smaller streets and corners of the city such as MacCurtain Street, Oliver Plunkett Street and French Church Street. While being the second largest city in Ireland, Cork hasn’t succumbed to the swarm of high street chains that exist in lots of other cities. Yes, you will find many big brands, but the city has still maintained a retail identity that never fails to impress visitors. 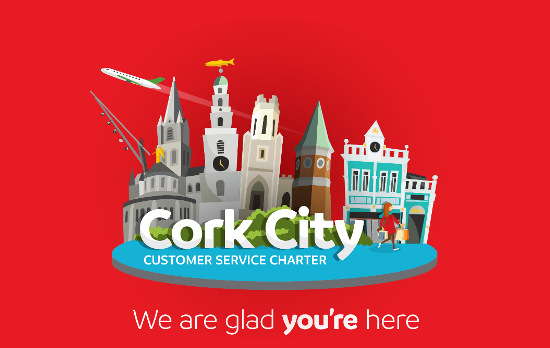 Cork retains its unique shopping charm with over 70% of retailers being independent or family businesses. Stretching out a little from Cork City, this is further complimented by the variety and choice in the suburban shopping centres including Wilton, Blackpool, Douglas, Carrigaline and Bishopstown. Mahon Point Shopping Centre is Cork’s largest shopping centre and offers one of the most memorable shopping experiences in Ireland. Across the County, towns and villages offer a range of shopping opportunities. While you won’t get all the brand names of the city, there is still a good mix of well-known retailers and independent specialists. Some of the larger towns such as Mallow, Midleton and Bandon also have shopping centres to cater for your shopping needs. Throughout the county towns and villages, you will also find an eclectic mix of craft, design and art. 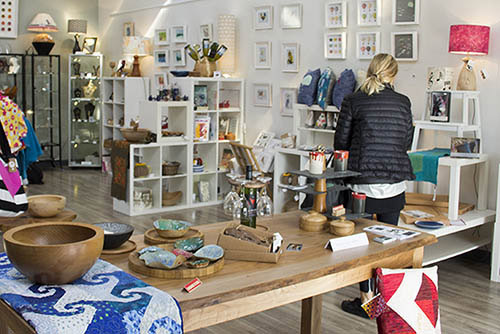 County Cork has some of the country’s best craftspeople, so it’s not surprising that Ireland’s ‘second city’ and its surrounding countryside are home to many fantastic craft shops, full of the work of native Irish designers. Cork’s English Market is a delight; it has been the backbone of Cork’s history since the 1700’s and one of the oldest markets of its kind. 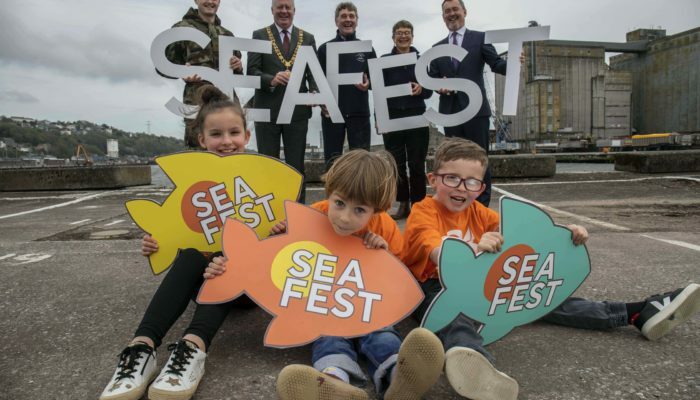 Here you’ll find a range of wonderful stalls and counters brimming with fresh meat, fish, poultry, fresh fruit and vegetables, local cheese, smoked salmon, olives, spices and Cork’s traditional Tripe and Drisheen stall. Delve deeper and you will discover chocolate and other confectionery, soaps, lavender, flowers, wine, champagne and many more delights. Combine the shopping experience with a break at a coffee dock or one of the café or restaurants. The market can be accessed from either Princes Street, Patrick Street, Oliver Plunkett Street or Grand Parade. Other farmers’ markets and country markets run throughout the city, suburbs and county villages and towns and add to the strong landscape of Cork’s strong food offering; making fresh produce readily available to everyone and connecting artisan makers with their communities e.g. Midleton, Kinsale, Mallow, Skibbereen, Clonakilty to name but a few. Bord Bia provides a comprehensive listing of regular markets. 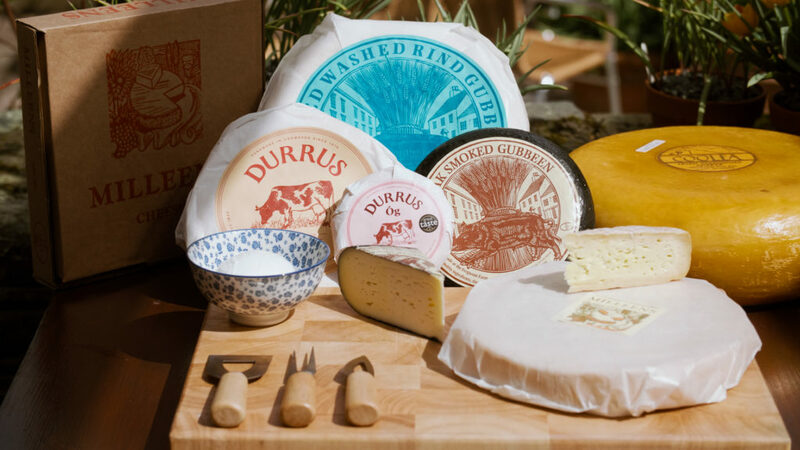 Many artisan producers also open their doors at various times for tours and to sell their produce direct to the food lovers who want to experience the makers magic.